This great vehicle is For Sale by the owner Scott Tye $17,500. 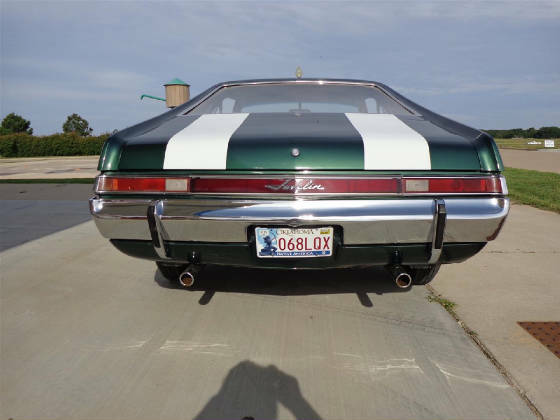 The July 2015 Great Oklahoma Classic is a 1968 American Motors Company Javelin ‘Super Sports Touring’, which belongs to Scott Tye of Stillwater. 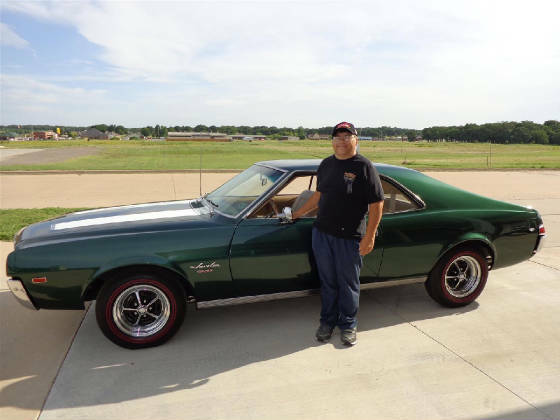 Scott is a long time member of the Stillwater Antique and Classic Car Club and has been interested in classic vehicles for many years. Scott and his father Ernie found this car on-line at a dealership in St. Louis. Negotiations for the car continued back and forth for about 9 months until the seller finally met Scotts’ offer. The car was picked up during Christmas week 2014 and tailored back to Stillwater. When purchased, the car appeared very much as it does now. Only minor exterior work has been done. The SST was restored with its original color 'Rally Green'. However, extensive electrical work has been necessary to get lights, gauges, etc., working. Stillwater Antique and Classic Car Club member Bill Moore gets credit for most of the electrical and fine tuning to put the car safely on the road. 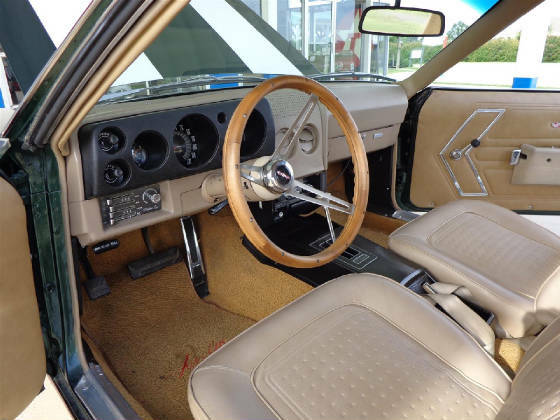 The engine is a 290 cubic inch V8 which produced 225 horsepower and 300 pounds feet of torque with a three speed “Shift-Command” on the console automatic transmission. The Javelin weighs only 2,836 pounds. 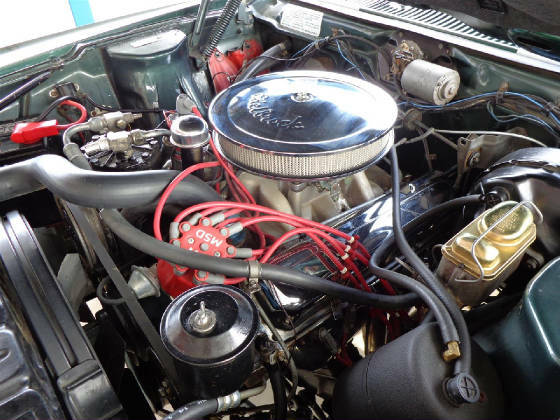 Scott’s Javelin may have several more horsepower than stock due to the Edelbrock aluminum intake manifold and exhaust headers and MSD Electronic distributor. 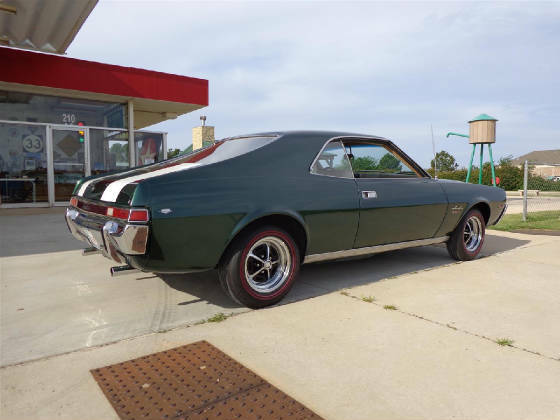 Scott was interested in an AMX but could not find one with an auto transmission. This Javelin SST is a big brother to the AMX and has the same styling and looks. As you can see the interior has been restored to the original factory appearance. 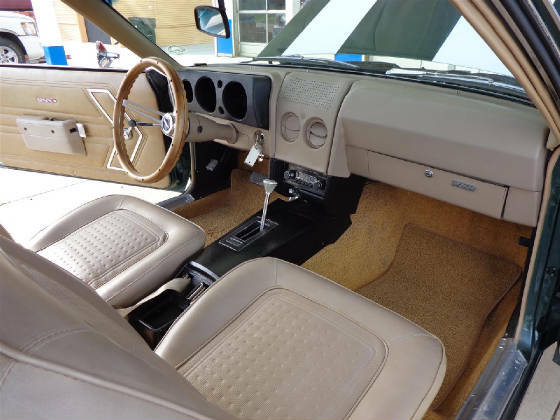 According to the vin number and data plate, the car is the original factory color, original interior, and original engine and trans, although much of the car has been restored. 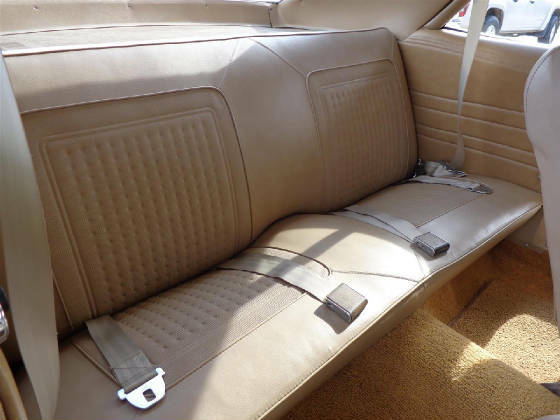 Unlike the AMX, the Javelin has a back seat which throughout history created more sales than the two seat sports cars. The wheels are the original 14 inch mags that came with the SST (Super Sports Touring) package. 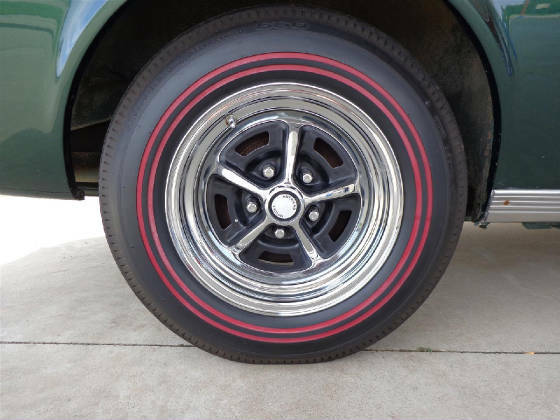 The B F Goodrich 6.95-14 redline tires complete the SST's classic 60's look. The name “ Javelin “ seems to have come from the cars’ designer who had several years earlier worked for Chris Craft boats and had designed a ski boat named “Javelin“. Scott enjoys driving and showing the car. Many younger drivers have never seen a Javelin or any of the American Motors Cars. 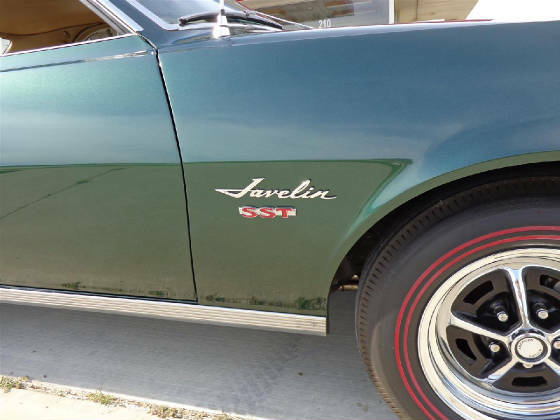 The first generation Javelins were the 68-69 models and were intended as a direct competitor to the Ford Mustang. 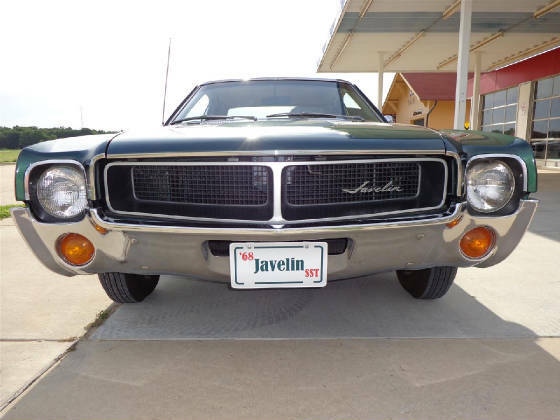 The Javelin owes its design development to the AMC Tarpon (1964 ) which later became the Marlin ( 1966 ), and later the concept sports car “ Rogue “ which was introduced in the summer of 1967 as the 1968 Javelin. 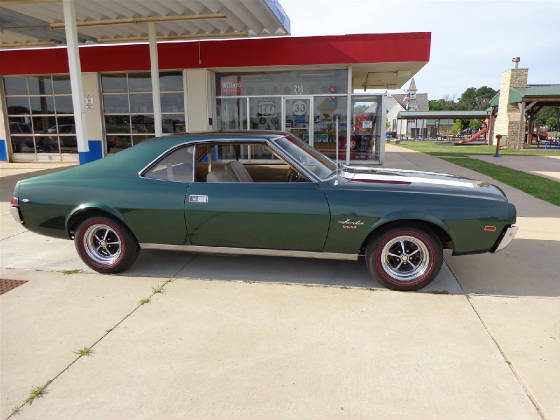 It is clear to see that Scott Tye is helping to preserve the American Classic Car with his rare Javelin SST. 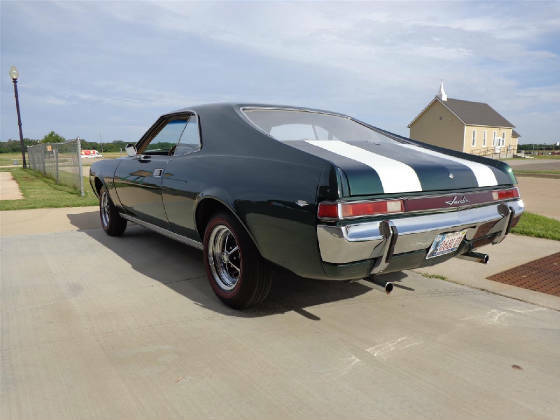 The Cimarron Starlite Cruisers sincerely appreciate Scott Tye of Stillwater Oklahoma for sharing his classic 1968 AMC Javelin SST as our Great Oklahoma Classic for July 2015!